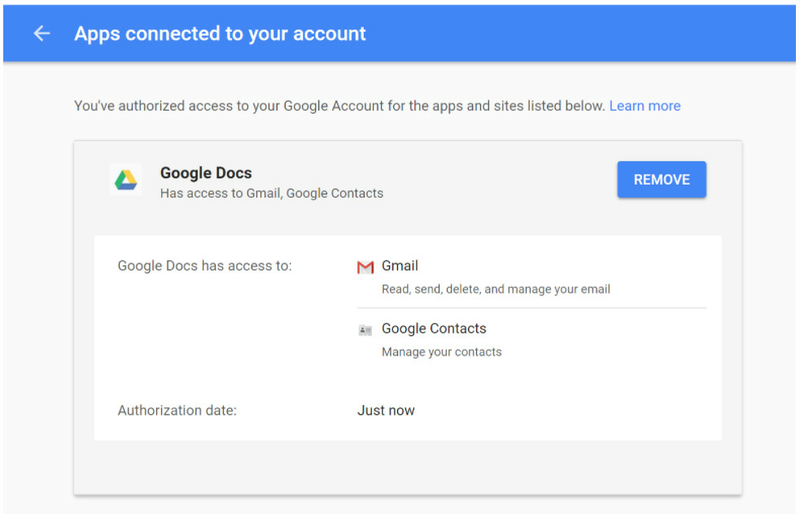 Click on the following link, this will open your Google Account authorized applications list. If you don’t find any item called “Google Docs” then your account is safe. If you do find an item called “Google Docs”, click on it and then click on the button: “REMOVE”. As a preventive measure you can also change the password of your Google Account. Did you receive the phishing email? Share your comment below.